Welcome! In an effort to support the country's economy, Greece, a Mediterranean country located in the center of Europe, is offering residency or citizenship status to foreign investors. The Greek passport is similar to the passports of Germany, France, or any other EU country; Greek passport holders may live, work or study in any country belonging to the European Union. International business executives, investors, VIPs as well as affluent citizens worldwide consider an alternative residency or citizenship a powerful tool for international tax planning and a safety net should the living conditions at home become unbearable. The Greek Immigration by Investment programs provide for affluent persons of impeccable standing and repute, including their families, to receive the Greek residency or citizenship (EU passport) on the basis of an investment in Greece. 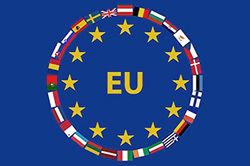 Once citizenship is granted, the applicant may live, work or study in any of the member countries of the European Union. The Greek residency (also know as the "Greek Golden Visa") provides for visa-free travel to the 26 member countries of the Schengen zone. The Greek citizenship offers full European Union benefits, including visa-free travel to more than 170 countries in the world, including the USA, Canada, Middle East, Africa, Asia, and most countries in North, Central and South America. Greece is a safe country that enjoys a low cost of living index. The country has long been a vacation spot for Europeans and high net worth individuals who flock to the island for its sunny and warm climate year-round. Greece offers a modern infrastructure ranging from reliable phone and internet service to secure banking to well-established air and sea routes connecting the island to the European mainland and international destinations. Greece is a democratic and developed country with an advanced high-income economy, a high quality of life, and a very high standard of living. The economy is service-based, with tourism and shipping being two of the key industries. Residency allows the applicant to live in Greece as long as desired. You are not required to live in Greece prior or during the Golden Visa residency application, or even after residency has been granted. The processing time for residency is about two months. Residency can be obtained through an investment in Greek real estate valued at a minimum of EUR 250,000. The Golden Visa allows you to obtain absolute ownership of your property and get your own title deed. The residency is permanent with renewal every 5 years and as long as you keep the property under your ownership. You and your family will have free access to the Greek health system and also your children will be free to attend the Greek educational institutions (schools, universities etc.). New residents may not be employed in Greece, but new residents may set up their own business and register a company in Greece. Greek citizenship, meaning the EU passport, allows the applicant to live, work, and study in any of the EU member countries, not just Greece. If desired, citizenship may be applied for after 84 months (seven years) in permanent residency status, having spent at least 180 days per year in Greece. The government of Greece is offering Greek residency and citizenship (European citizenship) to foreign investors who contribute to the country's economic development. Greece, a Mediterranean country located in the center of Europe, has been a member of the European Union since 1981 and the Schengen Area since 2000. Greece became a Eurozone Member in 2001. The country has produced streamlined legislation to create an efficient process by which non-EU residents may obtain a residence permit - and citizenship if so desired - based on investment. The Greek permanent residency program ("Greece Golden Visa") allow applicants to live in Greece indefinitely and lifts traveling restrictions and elaborate visa requirements across the EU. Permanent residency is granted on the basis of an investment in Greece. The Golden Visa allows you to obtain absolute ownership of your property and get your own title deed. You and your family will have free access to the Greek health system and also your children will be free to attend the Greek Educational institutions (schools, universities etc.). You are not required to live in Greece prior or during the Golden Visa residency application, or even after residency has been granted. The residency is permanent with renewal every 5 years and as long as you keep the property under your ownership. The Greek Citizenship by Investment Program (CBI) offers affluent persons of impeccable standing to receive the Greek (EU) citizenship and passport after seven years in permanent residency status, having spent at least 180 days per year in Greece. 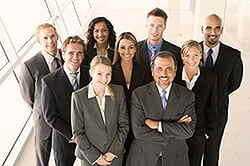 Qualified candidates include international business executives, investors, public figures, VIPs, and important persons - many of which are are active worldwide - who meet the minimum application requirements. Applicants consider an alternative citizenship and passport a powerful tool for international tax planning and as a safety net should the living conditions at home become undesirable. The Greece Golden Visa Program is considered one of the most affordable residency by investment routes to Europe. The Program grants visa free access to the Schengen Zone to the applicant as well as the family within 2 months of submitting an application. To meet the residency program requirements an applicant must invest in local real estate valued at no less than EUR 250,000. Further, the main applicant must be at least 18 years of age and have a clean criminal record. The main applicant may also add dependents to a residency or citizenship application, including his/her spouse, children, and parents. Applicants may acquire Greek residency through 1) a property purchase, or 2) a timeshare agreement, or 3) the purchase of a plot of land. Investment Option #1: Real Estate Property Purchase. The applicant invests in property at a minimum value of €250,000 in any part of the country. This includes mainland Greece as well as the surrounding islands. Both residential and commercial buildings are eligible. Investment Option #2: Timeshare Agreement. Instead of purchasing a property, an applicant may chose to sign a 10 year time-share agreement, provided the minimum value of this lease is €250,000. Investment Option #3: Plot of Land Purchase. The third investment option entails the purchase of a plot of land. As with options 1) and 2), the value of this transaction must also total at least €250,000. Counting towards this sum are the value of the land plus the value of the development contract signed with a construction company. The timeframe for application processing is approximately two months subject to having completed all documentation and the investment. To qualify under the regulations, a main applicant and his/her family may apply for citizenship after seven (7) years in permanent residency status, living in Greece at least 183 days per year. Step 1 - Review and Select Qualifying Investment. Please use our contact form to receive a complete checklist of application documents and cost estimate for you and your family. If you apply for more than one family ask us about a group discount. There is no fee for this initial consultation. Our team can advise you on unique/specific searches or present investment options taking into account your investment preferences. Step 2 - Prepare Residency Application. Collection of documents such as birth certificates, marriage and divorce certificates, as well as police clearance that must be submitted with the application. This step takes approximately two (2) weeks. Step 3 - Application Review. The Greek Authorities issue a receipt of application which may be used as a temporary permit before the final residence permit is granted. The document is valid for a year. The application is reviewed and due diligence checks are carried out. This step takes approximately two (2) months. Step 4 - Golden Visa Issued. The permanent residency document ("Golden Visa") is issued after successful review of the application materials submitted to the government. Step 5 - Citizenship Application. Following seven (7) years of residency, the applicant may file for Greek citizenship. The application process for residency is expected to take about two months. Government filing fees and attorney fees are in addition to the investment minimums. With its warm and stable climate and convenient geographical position Greece is considered an attractive place for residence. Over 300 days of sunshine a year classify the island as one of the sunniest European locations. Greece is a typical Mediterranean country in the center of Europe, with a history dating back to the 5th Century B.C. The economy is service-based, with tourism and shipping being two of the key industries. Following an economic recession, Greece has embarked on an extensive reform effort, which is set to improve investor confidence and attract new business. At this time of recovery, the Greek real estate market offers unique investment opportunities for individuals and businesses wishing to access property in Europe at highly competitive prices. Greece has a modern, free-market, service-based economy, with an effective and transparent regulatory and legal framework, giving international investors and businesses confidence to invest, grow and prosper. The Permanent Residency Permit grants a Non-EU national the right to permanently reside in Greece with no renewal requirements. Once granted, the Permanent Residency Permit covers the whole family: the main applicant and spouse, their parents and children under 21 years of age. You and your family will have free access to the Greek health system and also your children will be free to attend the Greek Educational institutions (schools, universities etc.). You are not required to live in Greece prior or during the Golden Visa residency application, or even after residency has been granted. Fast track application procedure - all applications are reviewed by the Greek government within approximately two months from the date of filing. The application can be processed in the applicant’s absence and filed on their behalf. Becoming a citizen of Greece does not have any tax implications unless you reside in the country for over 183 days during the year. Unlike other citizenship by investment programs, Greece does not require any donations, i.e. non-refundable contributions to the government. Instead, the program is purely investment-based, which means you retain full ownership of the investment. The applicant and his/her dependents are not required to reside in Greece after obtaining Greek (EU) Citizenship. EU citizens are free to live in any EU member country. Freely travel, reside, study and work within the 26 countries of the EU, as well as Switzerland, Norway, Iceland and Liechtenstein. The whole family can obtain Greek Citizenship i.e. the main applicant, his/her spouse, children under 21 years. All can travel, reside, study and work freely within the EU. Parents may be included in the application. Greek passport holders can transfer funds between EU member states, purchase property in any preferred EU country, and invest in any type of business venture. Greece presents a high standard of living due to its access to reputable private schools, trustworthy private medical facilities and having among the lowest crime rates within Europe. Greek passport holders do not require a visa to travel within the EU and also to travel to over 170 countries. The following are questions frequently asked about the Greek Immigration by Investment programs. If you don't find your answers here, please contact us at your convenience. Q: What are some of the reasons the Greek citizenship by investment program is attracting so many international investors? A: International business executives, investors, and important persons who are active worldwide consider an alternative citizenship and passport a powerful tool for international tax planning and a safety net should the living conditions at home become unbearable. Q: What is the minimum investment required to obtain the Greek residency? A: The minimum investment amount is EUR 250,000 for real estate (property, timeshare, or plot of land) in Greece. The applicants’ presence at the time of purchase is not mandatory and can be facilitated by legal representatives. The residency is permanent with renewal every 5 years and as long as you keep the property under your ownership. Q: What is required to obtain the Greek citizenship (EU citizenship)? A: Greek residents, having spent at least 180 days per year in Greece, may apply for citizenship (EU passport) after seven years in permanent residency status. Q: Will the Greek citizenship automatically grant me European citizenship? A: Yes. Because Greece is a member of the European Union its citizens are automatically European citizens, which means you are allowed to live, work or study anywhere in Europe. Q: Under the residency / citizenship program, can I include my family in my application? A: Yes, but only the residency/citizenship by real estate investment option allows the main applicant to add parents. Q: As a resident or citizen, am I required to live in Greece? A: No. Greece does not require you to be present or reside in Greece, unless you are planning to apply for citizenship. If you want to apply for citizenship you must have lived in Greece for 7 years. Q: Will my citizenship expire? A: No. When you acquire citizenship under the Greek citizenship program, you and your family enjoy full citizenship for life, which can be passed on to future generations by descent. Q: How long does it take to get the citizenship and passport? What is the process? A: Typically, residency application processing takes two months. Citizenship may be applied for after 7 years of residency, living in Greece at least 183 days per year. Step 1 - Review and Select Qualifying Investment. Please use our contact form to receive a complete checklist of application documents and cost estimate for you and your family. There is no fee for this initial consultation. marriage and divorce certificates, as well as police clearance that must be submitted with the application. This step takes approximately two (2) weeks. Q: Does Greece allow me to keep my original citizenship? A: Yes. There are no restrictions on dual citizenship in Greece. Q: How will new citizens be taxed? A: Becoming a citizen of Greece does not have any tax implications unless you move to the country. Individuals are considered as a tax resident of Greece if they spend more than 183 days per year in Greece. Q: Can you help me find a real estate agent in Greece? A: Yes. We would be happy to help you find your ideal residential and/or commercial property. Our professional relationships in Greece guarantee to our clients a smooth, comprehensive service that includes identifying suitable properties, providing transport for property viewings, drafting/reviewing legal contracts, and/or liaising with local notaries and architects as needed. Q: Can you help me with finding a job? A: Sorry, the immigration by investment programs were developed by the government to attract high net worth individuals, business owners, VIPs and other individuals with the financial means to support themselves and the local economy. Please note: New citizens do not need any work permission; they may work in any of the EU member countries. New residents may not be employed in Greece, but new residents may set up their own business and register a company in Greece. Q: Can you help me get a tourist or a student visa? A: Sorry, we cannot assist with tourist or student visas. However, if your intent is to file an application for residency or citizenship we may assist with the initial travel visa to schedule an in-person appointment at our offices. Q: What are the major differences among the various immigration by investment programs? A: The Bulgaria Citizenship by Investment Program provides the applicant with several investment options starting at EUR 512,000 for European citizenship and passport after five years in residency status. The "fast track option" starts at EUR 290,000 and shortens this period to only 18 months. The Cyprus Citizenship by Investment Program provides the applicant with several investment options starting at EUR 2,0 million for immediate European citizenship and passport. The entire citizenship application can be as fast as 3 - 6 months. The Greece Golden Visa allows non-EU applicants to file for Greek residency by way of a EUR 250,000 investment in local real estate. The applicant may file for Greek citizenship after seven years of permanent residency. The Malta Individual Investor Program provides the applicant with European citizenship in return for a non-refundable donation to the Maltese government in the amount of EUR 650,000 plus a EUR 150,000 investment in approved securities and an investment in real estate. The IIP application process can take between six months and two years to complete. For applicants who are only seeking Malta residency and Schengen travel benefits, options start at an annual recurring expense of EUR 24,000. The Monaco Residency / Citizenship Program allows applicants to file for Monaco residency by proving access to sufficient accommodations and financial self-sufficiency. The applicant may file for Monaco citizenship after ten years of permanent residency. The Portugal Golden Residence Permit Program requires an investment of EUR 350,000 in real estate, or the transfer of 1 Million Euro, or the creation of 10 new jobs in Portugal. After 5 years of Portuguese residency, citizenship can be applied for. The Spain Golden Visa requires a EUR 500,000 minimum investment in real estate, or a 1 Million Euro asset transfer, or a 2 Million Euro securities investment, or the creation of a new government-approved business project in return for Spanish residency. After 10 years of residency the applicant may file for citizenship. Canada offers several residency by investment options, leading to citizenship if desired, starting at CAD 200,000. The United States EB-5 Program leads to permanent residency status and citizenship in the United States for a minimum investment of USD 500,000 in a commercial enterprise in the U.S. that generates at least 10 jobs for Americans. After five years as a permanent resident the investor may apply for U.S. citizenship. The Caribbean nations of Antigua & Barbuda, St. Kitts & Nevis, Grenada, Dominica, and St. Lucia offer citizenship programs requiring a cash contribution of at least USD 100,000. Q: What does "Schengen Area" mean? Please contact us for a detailed cost estimate or confidential consultation. Our associated attorneys are ready to assist you with attaining your investment objectives and answer any questions you might have about the Greek Residency / Citizenship by Investment programs. Contact us for a free, detailed cost estimate or confidential consultation by email (or phone / office visit, if preferred). We will reply to your inquiry by email within one hour! If you prefer to meet in person at any of the offices please send us your dates of travel so that we may coordinate a time most convenient for you. Our immigration associates in Greece are working exclusively on Citizenship & Residence matters and will stand by your side throughout the entire application process, from start to finish. The team will work with you until your residence or citizenship by investment application has been approved and you have received your residence certificate or Greece (EU) passport. Do you have any questions? Use our contact form to receive a reply today. Do you have any questions? Use our contact form to receive a reply today. I am interested in the Greek "Golden Visa" permanent residency program, requiring a minimum investment in Greek real estate valued at EUR 250,000. There is no minimum stay required in the country. I am interested in obtaining the Greek (EU) citizenship. Minimum investment of EUR 250,000 plus minimum stay of at least 180 days per year, for 7 years. Other: describe your interest in the box below, or use our automatic Product Finder Tool to find a global Immigration by Investment program that best fits your budget and timeline. Unfortunately we cannot assist with asylum cases, tourist visas, passport renewals, or job referrals.